I did not taken resposibility for my own pregnancy and birth with my son. I relied on “experts” to tell me what to do and where I “should be”. I have been fooling myself into thinking that I was so enlighted and educated on the subject of birth but reality was that I watched “The Business of Being Born”, read “Baby Catchers” and called myself well informed. What a joke! Not this time. I have decided to get my hands on as many materials as I can over the next 5 months and practice what I read in preparation of this child’s birth. I want to know the best ways to give birth, the practices and procedures of midwives, the risk and rates, and anything else I can. I have also been reading Heart & Hands by Elizabeth Davis and have already learned so much about what a midwife should do and be looking for in the various stages of labor and has also given me a better idea of what to be looking for and preparing my mind and body for. So I am happy to report that I decided on a midwife. To be honest, I don’t know much about her or her history as a midwife. I was referred to her by another midwife who is not currently accepting HB clients but I really liked. 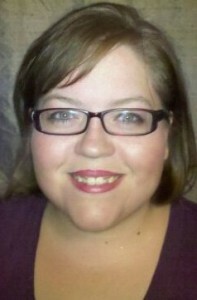 My midwife’s name is Heather Hilton and she is the owner of Central Texas Birth Center in Georgetown. She also assist at HB. So far what I like about her (I have only had one visit) is her laid back younger personality. 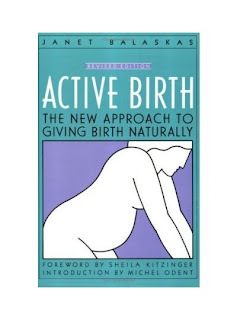 She takes a hands-off approach to birth and believes in letting your body work by itself. She shares my faith, which didn’t enter my mind for my first birth but I wished that it had. She did reassure me about my first birth experience and I was trying to share all the facts and not embellish. She believes, had I been left alone to listen to my body’s cues, I would have delivered at home successfully. Her office is nice and staff seems sweet. I have my first prenatal appointment with her tomorrow and have more questions to ask her but I am confident at this point we will get along fine. I am excited to finally have someone to talk to about this birth that will be supportive and accepting. I will report back tomorrow about our appointment. I found this information very helpful and encouraging. In all the reading and research I have done, there are a few behaviors that continually reappear among women who achieve VBACs. This is not scientific, just anecdotal. A woman who accepts her personal responsibility in her own health care by educating herself while believing in her body’s ability to give birth. I recently started to read “Heart and Hands: A Midwife’s Guide to Pregnancy and Birth” by Elizabeth Davis. It is more of a book for midwives but the information in it is great for understanding the basics of birth and possible complications. The point I want to make today is revolutionary to me. Estimated Delivery Date Calculations. So most go by the Naegele’s Rule, or the standard 40 weeks rule. This is LMP – 3 months + 7 days. This does not take into consideration cycle length, or how many births you’ve had. My first son’s due date according to this was September 18, 2010. The Nichols’ Rule is so much more spot on in my opinion. For example: For my first pregnancy my LMP was 12/11/09 and my cycle length was about 30 days. It was my first child. Actual Date of Birth (Spontaneous) = 09/29/2010 WOW! And here I thought I had gone 11 days overdue. So I am using this method this time. According to Nichols’ Rule, and taking into consideration that my cycle length is 35 days and this is my second pregnancy, baby # 2 will be due June 15, 2012. That is almost 2 weeks over the other method (June 2, 2012). Maybe bad due date calculations are the reason for such a high induction rate and subsequently high c-section rate. Can I say again WOW! Photo credit: “Photo by Hilde Vanstraelen / www.biewoef.be”. Now that I have started down this road I have already discovered it to be full of mixed emotions. First, I feel excited to be back thinking about another home birth. I feel the same excitement I felt when planning my first. But then, after the feelings of excitement wear off I feel worried, uneasy, distressed, and overwhelmed about the possible risks. I read on another woman’s blog that she was not angry about her first c-section until she was pregnant with the subsequent baby. I feel the same way. I thought I had gotten over the feelings of anger from my first birth experience but now that I am pregnant again I realize how much is has affected my ability to make future decisions. I do feel cheated. Another thing I related to on this woman’s blog was her feelings of being alone. I feel like, although my husband and sister are supportive, nobody understands my desire to have an empowering natural birth experience. My sister had 4 hospital births, 3 with pain meds, 1 without (but not by choice). And while I respect her decision to birth the way she wanted, she doesn’t necessarily understand where I am coming from (although she is very supportive of my decision to have a HBAC, thanks sis). My husband, of course, is just concerned about my safety and the safety of our unborn child. He wants to be sure I am making a safe decision and not a selfish one. At first this seems hard to take from him, but at second glance it is nice to know I have someone willing to ask the tough questions and make sure my motives are pure (thanks babe). Other than those two people I don’t really have anyone to lean on for support. I have chosen not to tell my parents of my decision, as I know they will not be supportive. Either way, without a current midwife or a friend that has had the same experience as me, I am forced to deal with my feelings alone, at least right now. Part of me wishes the birth was soon, but another part of me is glad I have time to process all this first.